The origin of Halloween is shrouded in myth and mystery. Said by some to have started after the christening of the Basilica in Rome by Pope Gregory III who established All Saints Day on November 1st, the night was supposedly set aside for prayer and fasting to prepare to honor the saints who did not have a designated day. Suspiciously, one can’t help but wonder then how this lead to the traditions of roaming the night in scary costumes, visiting house to house and celebrating the night by smashing intricately carved gourds. There is much more evidence to support the pagan birth of this ritualized eve of disguise and debauchery. In its efforts to transform the non-christian, end of summer harvest festival, traditionally called Samhain in Gaelic speaking parts of Europe, the church gave the holiday a polish and a new name. Halloween, however, remains a night for spirits and spooks, parties and pagan ritual. From the hollowed-out gourds to some of the old English plants below, this night remains one in which worldly creatures might wander into the other-worldliness of the spirit realm. Celebrate with some of these pagan plants that have held spiritual significance to those that wandered before us. Growing wild on the hillsides of moors and crags, this fragrant, low-growing shrub was an essential herb for life in the old country. 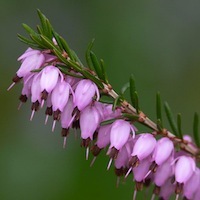 Said to provide protection from danger, the heather plant was used in everything from dying wool to brewing beer, though its most popular use was in the making of a besom, or broom, which is an essential part of many Wiccan and pagan ceremonies. Perhaps this tradition has lead to the modern image of flying broomsticks carrying cackling witches through the air on Halloween night. It is also the origin of the word heathen, said to be the habitat of Earth’s wildest people. 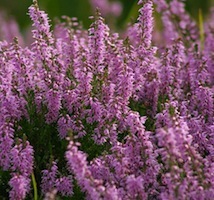 While traditionally a purple or mauve color, the flowers of the hearty heather plant come in white as well and decorate the entire length of the stem. The leaves are small and needle-like, though soft when brushed and release a sharp and pleasing scent. Find them as potted plants at your local florist. Used in love charms and enchantment potions, this tall, blue wildflower looks amazing in vases and centerpieces, or can be worn on the lapel of a dapper Dracula or skeleton. 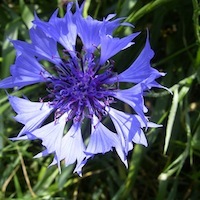 Sometime called cornflower, this bloom is at its peak during harvest time and has long been associated with fertility and fecundity. Relatively long lasting as a cut flower, its bloom is said to fade quickly in the presence of unrequited love. Use it with caution. Not truly a pumpkin at all, but a type of eggplant grown in tropical Africa and Asia, these stems resemble tiny pumpkins and will last in an arrangement of flowers for weeks. 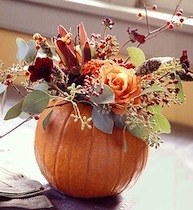 They ripen to a bright orange or deep red and, while not actual pumpkins, they are edible. 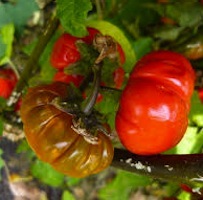 Careful though, as they are members of the deadly nightshade family. MMwwwwaaaaaahhhhhaaaaahaaaa.